Recent advancements are making it more appealing than ever for the dairy industry to replace heat pasteurization in favor of ultraviolet disinfection to sterilize water for its production needs. 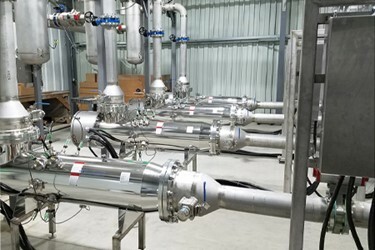 To comply with the Pasteurized Milk Ordinance (PMO) in producing Grade-A milk for interstate shipment, dairy plants are required to pasteurize water that comes in contact with the same surfaces as the milk. Since 2011, UV disinfection has been approved to replace thermal pasteurization for this water, if certain criteria are met.